WAIMEA VALLEY (HawaiiNewsNow) - It's been a violent day on the Garden Isle. Two people are dead in Waimea after a stabbing and police shooting. In all four people were stabbed and the suspect was shot and killed by a Kauai Police Officer. "The incident began on Menehune Road when the male suspect allegedly attacked his grandfather, age 83. The suspect then stabbed a female neighbor, age 68, who died from her wounds. The suspect then walked a short distance and attacked a couple, a 63-year-old man and 50-year-old woman, outside of their home," said Kauai Police Chief Darryl Perry. That's when the first police officer arrived. The suspect in his 20's allegedly kept going ignoring the officer's commands. The officer opened fire. The suspect died at the scene. "Based on the preliminary investigation, the use of deadly force was based on the assessment of the injuries inflicted on the four victims with a knife, the suspect's refusal to comply with the officer's attempt to effect an arrest, and the substantial risk that the suspect would have continued to cause serious bodily injury and possibly death to others if his apprehension was delayed," said Chief Perry. Police are not confirming the name of the suspect just yet but we spoke with two neighbors who know the young man in question. "He would just sit outside his house and not bother anybody. He's never done anything crazy before," said Kulia Kilar, neighbor. "My whole family lives there and they're friends of our families. We're all really disturbed right now. I just hope everybody else is okay." Another neighbor says she visited the home of the suspect's family this morning and dropped off vegetables and everything seemed fine. "I'm so scared to hear this kind of news. 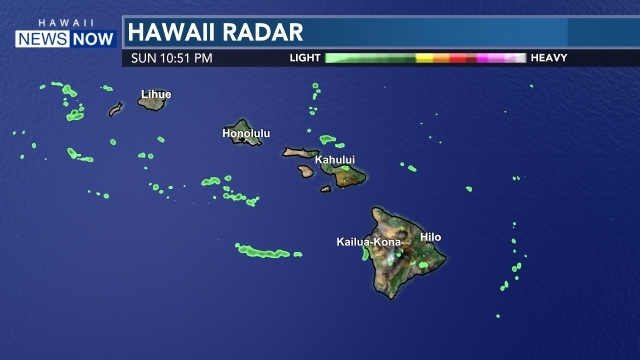 I know in Honolulu it's so common, but not over here not on Kauai no," said a neighbor that did not want to be identified. The three surviving victims, including the suspect's grandfather, are in the hospital and expected to live. The investigation continues as police try to find out what prompted the attacks. The officer involved in the shooting is on leave. The police department is coordinating counseling for all parties involved.